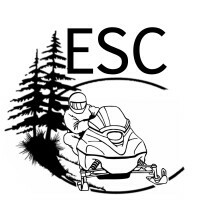 Please help our ESC - Ebeemee Snowmobile Club in raising funds to continue providing the quality trails that you have come to rely on. Please show your appreciation today by making a small donation. By joining our Ebeemee Snowmobile Club, you not only show your support and appreciation, you become a member of a wonderful group of volunteers that work diligently all year long to keep this vital trail system in top notch condition. There is a lot that goes on behind the scenes to bring you the quality trails that you enjoy. Please join us by becoming a member today. We are a small local club of volunteers that maintain 70 miles of connector trails. This is a vital hub and one that we are very proud of. There is a lot that goes on behind the scenes to keep these trails in good condition. We are in a vital period of growth and transitions for our club. We have taken on the responsibility of purchasing a new groomer and drag which has taken our club to a whole new level of service for the snowmobiling sport in our area. To help us maintain and provide this level of quality trails, we are asking you to help support the sport that you love by making a small donation to our club. This money will be used for maintenance, supplies and upkeep for our groomer, sleds and drags. We thank you for generous support. Please "Ride Right - Ride Safe" and Happy Trails.